The Downtown School is located west of Seattle Center in a historic school building updated to serve as a dynamic space for learning. 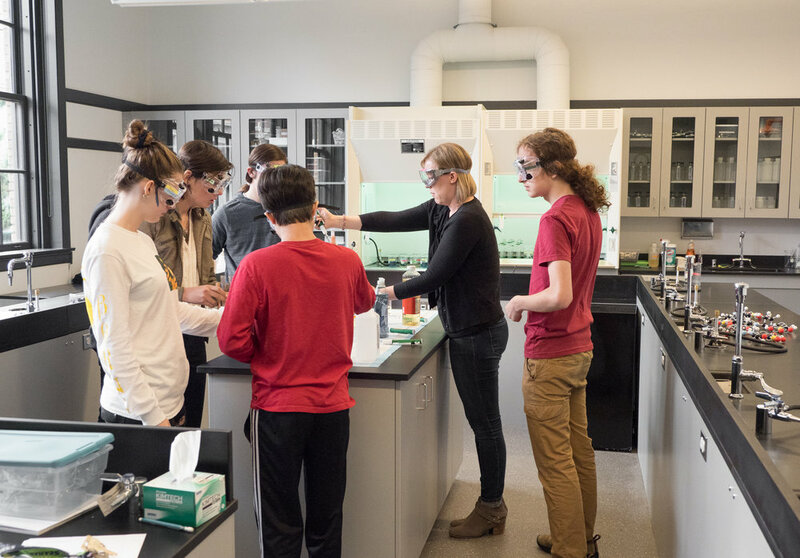 The 16,000 square-foot building has seven large, light-filled classrooms, including two dedicated science classrooms, a biology/chemistry lab and physics/engineering classroom. 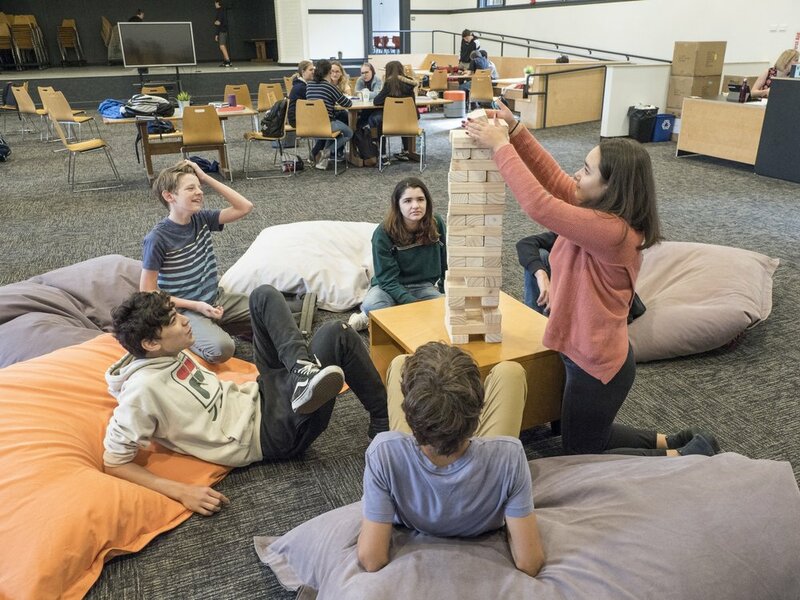 The ground-level Commons serves as the heart of the school: It’s a large, flexible co-working space where teachers and students can collaborate and the whole community can gather. The Downtown School extends student learning outside of the building and into the city. An integral part of the academic program is experiential learning – learning by doing. In intensives and semester courses, students use the city as a lab, regularly engaging with a network of local nonprofits and businesses that provide real applications and practical lessons for topics in our curriculum. The school’s location combined with long class periods mean that classes can easily take field trips in the city or meet with people in the community. Learn more about experiential learning on our academic overview page. The kexp gathering space is a three-minute walk from The Downtown School. Both the location and the schedule — from 9 a.m. to 2:15 p.m. — allow students to incorporate nearby service learning and internships at the end of their school day, and may be helpful for students who are involved in intensive arts, sports, or other programs outside of school. The Downtown School is accessible via multiple bus lines, including several routes that connect to downtown Seattle and Link light rail stations. The central location will also benefit student life. Students can spend the lunch period on campus or take advantage of the offerings the Uptown neighborhood and Seattle Center, with its beautiful outdoor spaces.